Congratulations on your engagement! We are so excited to help you through this wedding planning journey and provide all the tips, tools, and resources to help you plan the wedding of your dreams! 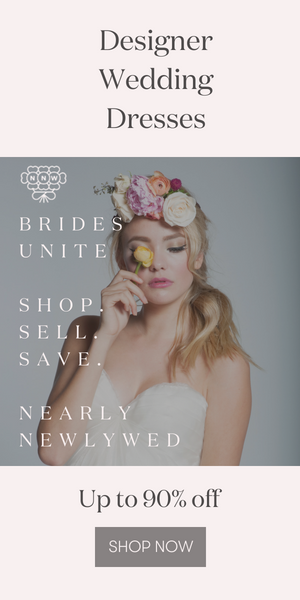 Because this year-long process involves so many details, from finding your vendors to saying “I do,” we’ve created the best wedding planning timeline you’ll ever need to get you from the very first stage of setting your budget to tying up loose ends after your honeymoon. If you haven’t already taken a peek (and pinned) our wedding planning checklist, we highly encourage you to do so. This timeline will be useful for planning out your entire year. That checklist will be useful for checking off items as you go through each stage. We’ve even included a full timeline at the bottom of this post that you can pin for easy reference. Happy planning! These first few months are when you’ll lay the foundation for all your wedding plans — and ultimately set yourself up for success! We can’t emphasize enough how important it is to start by setting your budget before you even begin to think about anything else. Your budget will help narrow down the list of venues to consider, dictate how large your guest list can be, and help you prioritize what’s actually most important to you and your fiancé. Because talking money has the potential to be stressful, we highly recommend making a date night of it with dinner at home, a bottle of wine, and a totally open mind. Once you hammer out those all-important numbers, you can move on to more fun things, like creating your mood board, touring venues, and researching vendors! The key in this 10-12 month timeframe is to align your values and expectations and do your research so the rest of the planning process can be smooth sailing. You’ve spent the last 4 months setting your budget, creating a vision for your day, deciding who will stand beside you, and doing tons of vendor research. Now, it’s time to start booking! Wedding photographers and wedding videographers book up quickly, so you’ll want to book those two vendors as soon as you’ve decided on them. And, while you’re booking your photographer, make sure to set up an engagement session with her/him. It’s the perfect opportunity to get comfortable in front of the camera, build rapport with your photographer, and document this special time of your relationship! This 8-9 month window is also when you’ll begin to focus on guest-specific tasks, such as creating a wedding website, registering for gifts, and blocking hotel rooms for out-of-town guests. You should also continue to work through your guest list during this time since that tends to be one of the trickiest parts of planning a wedding, and so you can decide if you want to stagger invites as a way to narrow down your final list. Now, even though you might be ready to dive into the deep end of planning, we highly recommend you take just a few more minutes to read our stress-reducing wedding planning tips and these 15 wedding planning mistakes to avoid. We promise they will save you a lot of headaches!